Baker also served in the Air Force for 26 years, where he was discharged under the title Master Sargent. 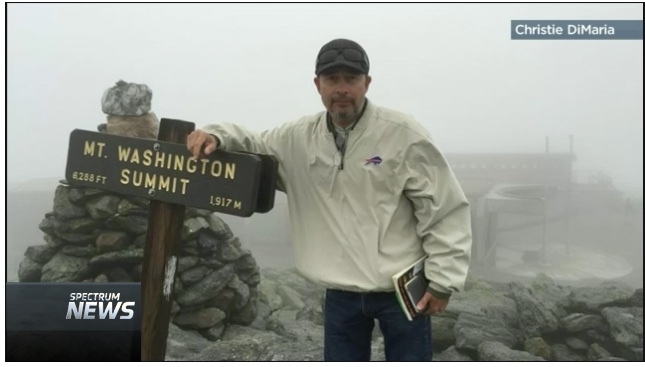 That experience allowed him to connect with other veterans in the program. A search and rescue team found his body on Monday in the East Branch of the Ausable River. The 50-year-old joined the "EquiCenter's" therapeutic equestrian program five years ago. It helps those with disabilities, at-risk youth and veterans like Baker reach their therapeutic goals. Operations Consultant, Dr. Susan Taylor Brown, says that she grew fond of Baker. "I was one of the first people who knew him. He was a very shy, no nonsense, quiet person," said Brown. And like most veterans who are introduced to the program, they start in therapeutic riding. "It was more comfortable for him to be around horses than people," said Brown. According to Brown, Baker had a special connection with one horse in particular: Harley. "Harley is an Irish draft and Skips' Irish also, they shared a bond," said Brown. After getting more comfortable there, Baker took on additional roles and skills from goal setting to even volunteering.